Today, I had several shadow experiences come to me; and I welcome these experiences because this is how I heal from my past sexual trauma. Facing, processing these deep dark fears and pain through self-inquiry and forgiveness, has changed my life. I have healed and released so much from my womb. I am always checking in with my womb as I go through these healing experiences, and it never fails, I see the weights release. The heaviness is always represented by anchors. The wight of these anchors sink to the bottom of the sea floor. Immediately following, my Womb Spirit, the Mermaid, soaring to the surface in Light and Freedom. No doubt, I am courageous for doing this, but I find it necessary so that I will be Free in my Life. Free to share, free to create , free to explore my sexuality and sensuality. Doing this healing work is a catalyst for freedom in all areas of my life, I believe this and know it to be true. I have seen the changes in myself. It is an Absolute Miracle. I thank my husband who has been there for me through years and my Spiritual family, my Ancestors, Angels and Guides. I thank the Creator for created all of my supports. I am most grateful for my ability to trust myself, my Inner Wisdom. So, to date, I am currently in the New moon phase of my cycle, my sacred moon time and my sacred blood has been flowing for about 3 days now. The Moon in the sky is almost Full and I and all of my feelings have been expanded as a result. As I stated in many of my Womb Goddess videos, I have been working on transforming my sacred time and I have seen some great changes. I have felt the typical pains, lower physical energy and food cravings that normally comes with this time; but one thing that has changed is my attitude towards this time. I am much more positive and over all less crabby, this change in attitude and gives me strength and energy, I feel even physically. I have welcomed my sacred time with open arms. I have been doing so for the past few cycles, and I literally feel the changes in my Mind, Body and Soul. I am very much guided by my Womb Spirit, the blessed Mermaid in my daily life. I believed and received this healing for myself and I am continually reprogramming myself to cope with ease and grace as I go through this stage of my cycle in particular. I am honoring myself in many ways, including writing this post as my Soul was craving the sweet release that only writing can do for me. Additionally, I have been reinforcing the sacredness of my Blood with every bathroom use. In the past the sheer appearance of my blood made me feel bad. I just wanted this time to hurry up and end. As, we have all been programmed to think that our sacred time is a sinful, ugly, disgusting and basically a curse. So who in their right mind would want to embrace that ! So, I have let the tampons go and I have let my sacred blood flow. I reinforced the power and holiness of my blood by simply affirming it’s power and sacredness, out loud ! So I can hear myself. I will see how this works in regards to my reprogramming and cellular memory for this time next cycle. Because what every we do during this time of our cycle, every cell in our body is remembering. I know this to be true, I am living the results of last cycles reprogramming. I started the affirmations particularly for this time. Likewise, I have been working in the pre-menstrual, Wanning moon time to really listen to what my Womb, Body and Soul is urging along in order to support myself. Again, I know that this will take time, but I am reprogramming myself in Love, for the sake of working with my womb energies. Ultimately, I will be able to plan my life along with these energies. I learning to be more patient with myself, as it has taken most of my life time to hate my cycle. Even so, just today, super early for a Saturday morning, I was up doing my morning ritual prior to my family rising and my husband came in the bathroom, as I was showering, I didn’t flush to the toilet because of the water pressure… So, he saw my sacred blood there in its glory ! In the past, I would have been ashamed. Instead I asked him, “how does that make you feel? Seeing my Blood? ” He said, a bit weird, he didn’t like it, made him feel uncomfortable. I proclaimed right there in that moment, My Blood is Powerful ! My Blood is Sacred ! He said, Bae, you sound very witchy right now. I said I can work great magik with this Blood ! We were both laughing at this point. His response is not surprising, as men have always been afraid of the power in a women’s Blood, and rightfully so. Everyone comes through the blood, we are born through it. It is Sacred and Powerful. I felt liberated in my Proclamation as well. It brought my Heart Joy. I am moving into the energy of being shame-free and it feels wonderful. 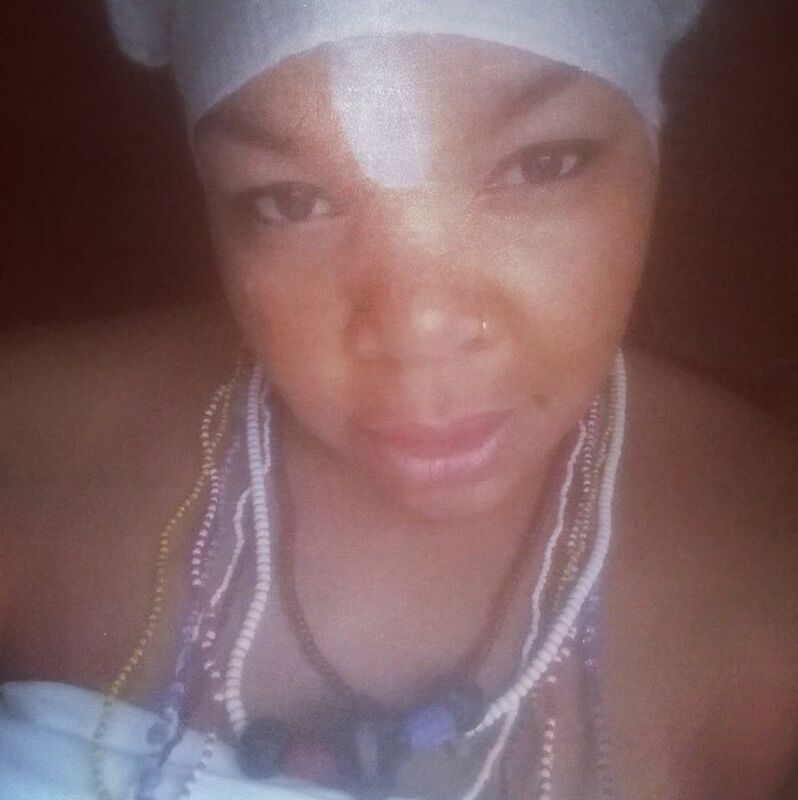 So, I am very proud of my efforts to heal my Womb and my Life. Embracing my Shadow is well worth it. I am Free and because I have healed and I am still healing, I am also healing all of those who are connected to me in Body and Spirit for generations past and to come. I would love to hear from you, what is your feelings and experiences with this Sacred Time?